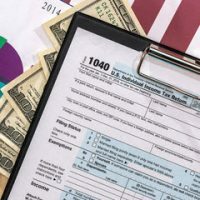 While we’ve previously discussed how the new tax bill might change alimony payments after December 31, 2018, aside from these changes, filing for the first time after getting divorced can sometimes bring to light new questions when it comes to your tax return. It is important to keep in mind that, when it comes to tax returns, children of divorced parents are typically claimed as dependents by the custodial parent (i.e. the one they spend a longer period of time with during the year), with several exceptions, such as the custodial parent releasing the exemption to their ex-spouse via written declaration, or if the divorce decree explicitly assigns the right to claim the children as dependents to one parent or the other. If both parents claim the exemption and are not fling a joint return together, the IRS will typically allow the parent that the child lived with most during the year to claim the exemption. This is especially important to keep in mind in states like Florida, which often encourage a child spending equal time with both parents; necessitating having a discussion with your divorce attorney before claiming or deciding not to claim your children as dependents on your tax returns. Only the parent who claims the child(ren) as dependent(s) is the one who can claim the child credit, the American opportunity higher education credit, or the lifetime learning higher education credit. Similarly, only the custodial parent can claim the child care credit for work-related expenses incurred in caring for any children under the age of 13. Keep in mind that your marital status as of December 31 controls for filing status for that year when you file the following spring. Thus, couples who are in the process of separating but are not yet divorced (i.e. their divorce decree did not become final in 2017) can still file a joint return come April 2018 if they chose to. Once your divorce decree is finalized, you can no longer file a joint return. You do not have to be the custodial parent in order to claim medical expenses for your child as deductions. These costs can be included in the deductions even if the other parent has custody and claims the child as a dependent on their tax returns. Keep in mind that the new changes put in place by the tax bill do not go into effect until after December 31, 2018, and if you are paying alimony, you can still take a deduction for that payment. The ex-spouse who receives these payments must then pay income tax on these amounts. If you have questions about how your divorce might affect your tax returns, contact one of our family law attorneys at Arwani Law Firm today. We have handled complex divorces, and if you are located in Florida, we are confident that our team can provide you with the legal assistance and attention that you need.